Information literacy (IL) is widely recognized as a necessary skill for the information age, and post-secondary institutions and libraries spend large amounts of time and resources on information literacy instruction (ILI) programs. With tightening post-secondary budgets and increasing emphasis on meeting institutional learning outcomes, there have been continued calls from librarians, educators, academics, and library organizations to assess ILI. 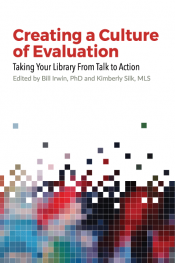 More than simply a means of being accountable to stakeholders, ILI assessment is a way of demonstrating librarians’ contributions to student learning, gaining feedback to improve librarian teaching, bolstering instructional program performance, and increasing student learning.